This weekend hot clicks features photos of lovely lady of the day, Lais Ribeiro and a roundup of the fial weekend of the college basketball regular season. 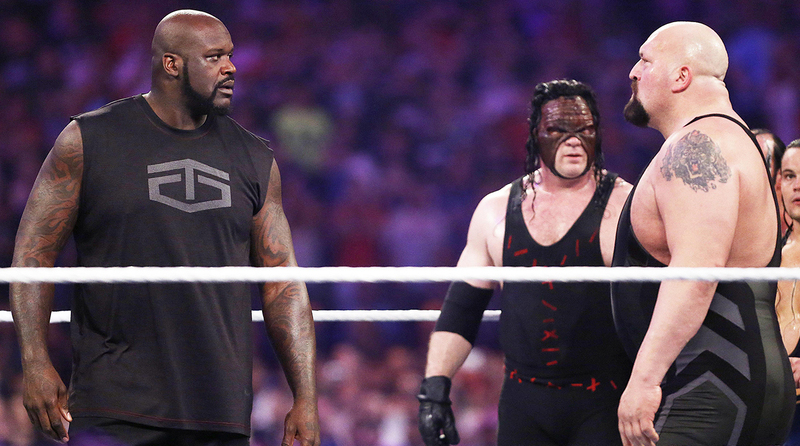 The wrestling world lost their mind when the Shaq-Big Show match was canceled. And now the veteran wrestler is saying Shaq's weight is to blame, even comparing him to Jabba the Hutt. Predictions for WrestleMania 33 match card and title winners. This is the final weekend of the college basketball regular season and there's a heap of intriguing tourney-impact mathcups. And Saturday marked the 10-year anniversary of the bloody Hansbrough game. One NFL scout laughed at the idea that Leonard Fournette's mediocre vertical would have any impact on his draft stock. This driver credited a pre-race bathroom run for winning by a fraction of a second. Awesome list of the best college basketball throwback uniforms of all time. Potential top-1o NFL Draft pick Reuben Foster got booted from the combine ... Greg Hardy avoided jail time on cocaine charges ... Apparently teams are fussy that fans are present for the NFL Combine ... Samuel L. Jackson performed dramatic readings of Facebook posts ... Red Sox got good news with David Price injury but here's a look at the worst free-agent pitcher deals ever ... Katy Perry looks really, really different these days ... Noah Syndergaard will appear on Game of Thrones.